Anybody else building with Ziricote? Discussion in 'The Small Company Luthiers' started by Lashing, Feb 1, 2012. I like to build these things inbetween vintage builds. So far everyone wants vintage. Maybe Ziricote will become fabled like Brazilian one day and everyone will want it. Its already expensive enough. Oh goodness. That looks like a gorgeous piece of furniture. It's beautiful. I'd never be able to play that guitar. What a nice design! What does it sound like? 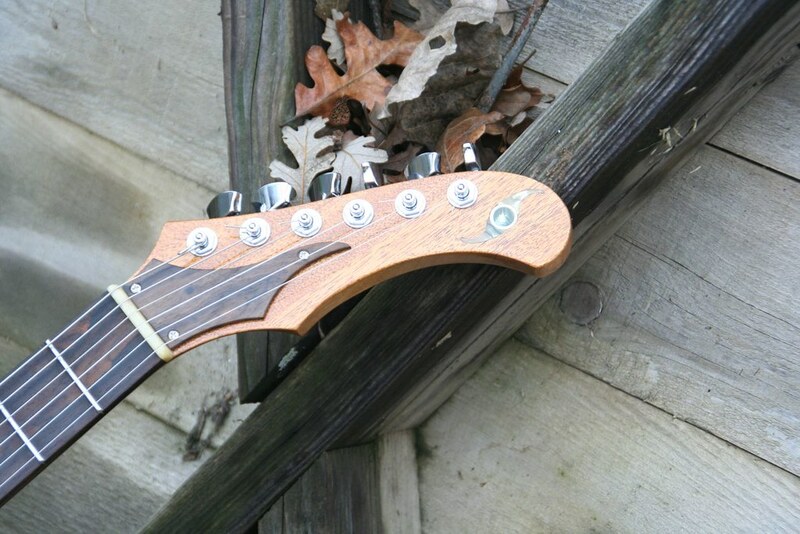 And I really like that bridge that can be configured it seems for 7 strings! I don't have much experience, but I've got a strat build with a Ziricote fingerboard. 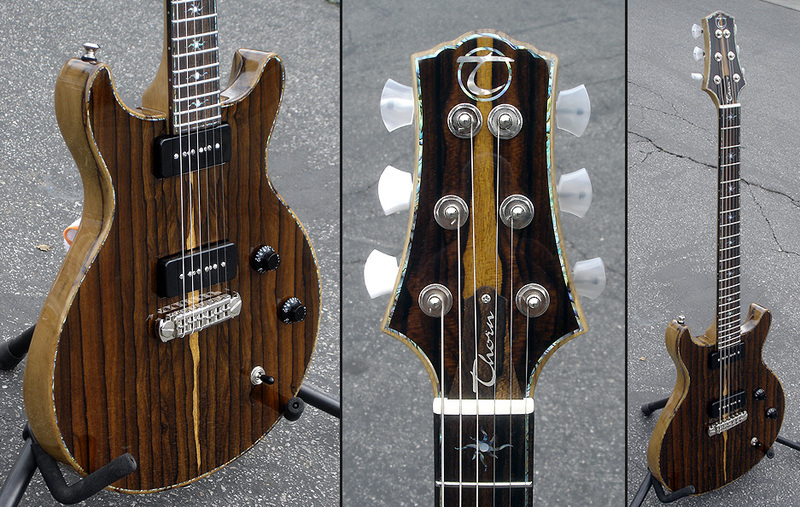 Looks amazing, plays like ebony, and sounds kinda halfway between rosewood and ebony. I played a McPherson acoustic with Flamed Redwood Top and Ziricote Back and Sides...amazing tone. I've got a giant board (5/4, 13"x10') that I've stashed away for future guitar projects. The inky spiderwebbing is stunning and you've really incorporated it into a great looking guitar. It's making inroads in the high end acoustic world and the electric bass realm, but that's a far cry from the vintage craze. Still, yours hints at the rosewood tele and might be a way to make people stand up and take notice. Best of luck. Ziricote fretboard on this one. nice one kingsley!! u seem to have your guitars in green! that is a nice Lashing! I always buy stunning ziricote when I am at the lumberyard. Its so nice too look at. Anyway I thought this would just end up pretty but it actually sounds killer too. I am keeping it for myself. A fun build for sure. The kicker to this stuff is My blackguard dead on replicas cost more than this one would. For different cosmentic reasons. But there is a line up for dead on replicas and my side projects like this sit around. I was a might bit tempted to buy some zircote that last time I was at the yard. Its just really expensive stuff though. Beautiful, but expensive. Wow Jack! Is that a Lacewood top? Its ultra pricey. I thinks its gorgeous though incorporated into simple designs. I dont think it comes thru when used as an accent but rather a main slab. 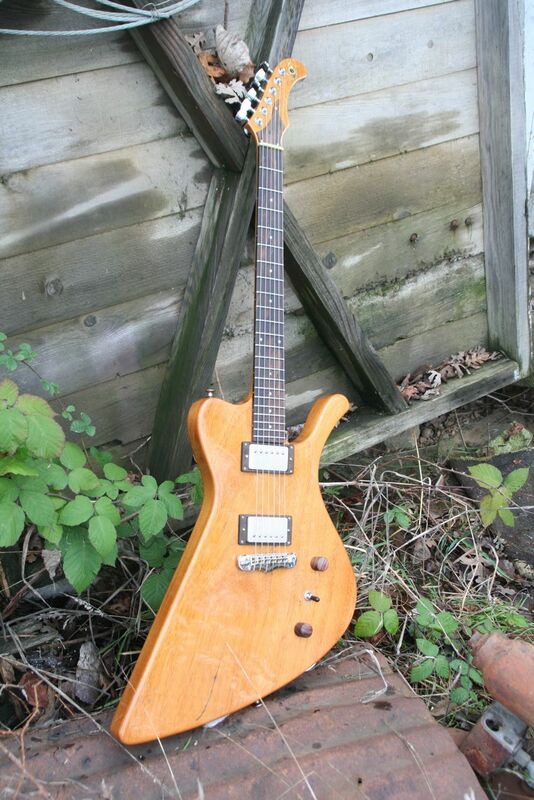 I personally dont like when guitars get to garish with carvings and mandolin like F holes etc. It starts looking like grannys Hutch. Let the natural beauty be the star I say. One magor feature from each angle, then adjust the other things to complement, not compete. Thats the way I look at it. I also like having it part of the guitar like the neck. I love how rebellious this Tele is... 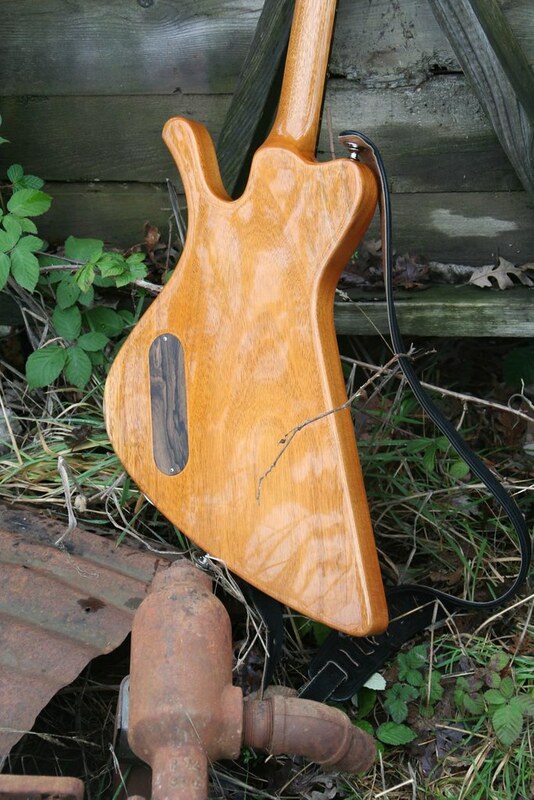 I get kinda tired of the Tele Police telling us what color, wood and bridge our Tele's have to be made from. I've got a custom Tele style being built right now and although it's made out of traditional woods and even has a fairly traditional bridge, it's going to have several of it's own subtle "middle finger"s.